As an undergraduate at Redlands with a double major in psychology and music, Biddle was a first-generation student who herself initially struggled with her options. She grew up in a small town in Illinois and was raised by a single mom. With the help of mentors, including Psychology Professor Thomas Gross and Redlands alumnus Denny Dickenson ’53, among others, she credits the University’s tight-knit, caring culture for creating the foundation she needed for her own successful career. 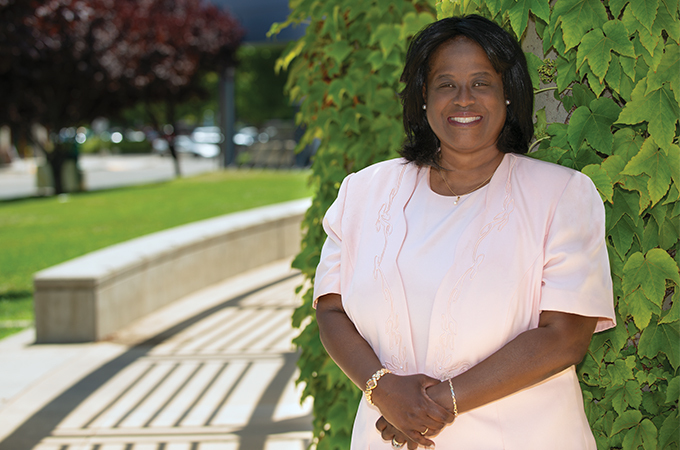 Her Redlands network also supported her choice to attend Stanford University, where she earned an education specialist degree and a doctorate in education. Biddle’s academic research has explored themes from the socialization of ethnic minority children in education to the impact of educational policies on families. Currently, her research is focused on parental perceptions of after-school programs for children from impoverished backgrounds. Reaching outside academia, Biddle also published her first children’s book, LaDonna Plays Hoops (McLaren-Cochrane Publishing), in 2017. “The book is about social and emotional learning, appropriate responses to challenging situations, and good sportsmanship,” says Biddle, who participated in U of R’s Charlotte Huck Literature Festival and was recently contracted to write a second children’s book. Explore ways to connect with University of Redlands alumni and friends.